The latest news coming from Adobe threaten to completely reshape the world of eCommerce and cause major shift on the market, that will be felt across the globe, and in all niches! 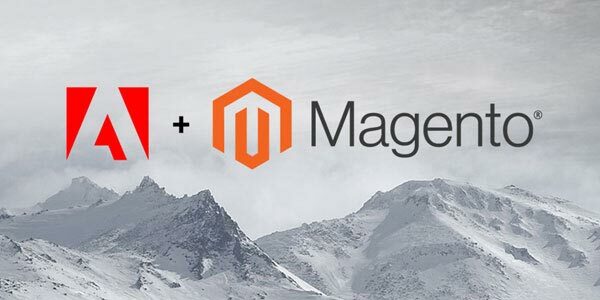 Namely, the news are that Adobe is about to acquire Magento in a $1.86 billion deal! 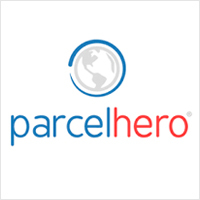 This move will have far reaching consequences in one of the most lucrative segments of online business, and will set up new standards in the entire industry! The benefits of this move will be huge as well, both for the retailers that are competing online, and for the web design agencies across the globe, but there will be some sore losers in this scenario as well! The impact on other eCommerce platforms will be huge. Adobe suit is already one of the most important tools that is being used in all eCommerce website creations, and getting special relations with it is something every platform can only dream about. 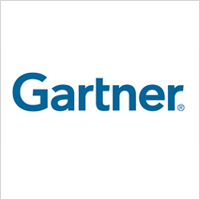 Since Magento is already the leader in its own segment, this new acquisition will make tectonic changes on the market. It is not hard to fathom how much benefits will be there to be found once the merger is done and the improvements have been carried out. Magento will benefit from this in a way that it will be able to offer features no other platform can! Just imagine the option to simply design everything in Adobe tools and get it automatically adapted for the eCommerce! Since the visual shopping is the key for everything nowadays, it will give the edge that no other competitor can reach! In this way, the other major players in the eCommerce niche will have trouble keeping up the pace with Magento even worse than it is the case today. Since Magento is already a leading platform on the market, these new improvements will make the difference between them and the competitors almost impossible to overcome. Also, since Adobe has a huge experience in cloud technologies, the improvements on that side are possible as well. Magento is at the moment a standalone platform that needs dedicated servers and standalone installations. A few years back they had an experiment with Magento Go as a SaaS option, but they have cancelled it in a rather short period of time. With this new move, it is quite possible that Magento will move closer to the SaaS realm as they will have all the technology resources they need for this to happen. Still, this is a business decision that will be dictated by Adobe. The previous experiences make the presumption that something similar might happen quite a viable one. Adobe on the other hand will also benefit from this move. As we already mentioned, the acquisition of a leading eCommerce platform out there opens up a myriad of possibilities for them. They will get an entry into an ultimately lucrative segment of the market that can launch company profits into orbit, especially with the move towards the SaaS segment. Currently Magento is offering their Community version for free, but if everything moves towards SaaS, there will be income based on the change of the business model. Even without any moves towards the SaaS, there is a lot of reason this move is simply perfect. All the developers will be forced to use Adobe products in the web design process, and the subscriptions will increase. In all cases this is a win-win situation for both companies. The other eCommerce platforms will face huge disadvantage after this merger, no matter if they offer standalone or SaaS options. Their technology will have to depend on the integration with Adobe suite, while Magento will have those as the core features. Of course, the support for the in-house product and the associated products is never the same, so it is to be expected that the Magento will again get a better service and more options to provide top level services. The bottom line is that this move will put all other competitors on the market in a significant disadvantage and that they will have trouble keeping up the pace. 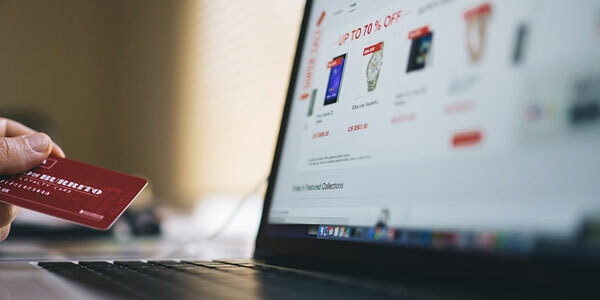 It will also impact the other service providers in the eCommerce sphere, as the shift on the market will force them to also focus on Magento, putting other platforms in a rather peculiar position. Retailers as the end customers in this case will also benefit greatly from this merger. Since Magento has all the capabilities to carry the leading role on the market, with this new merger it will become even more efficient. The latest developments in the expansion to marketplaces based on the core Magento features make it a perfect omnichannel trade tool, and with the addition of Adobe services, it will also become a perfect platform for branding, and visual elements. 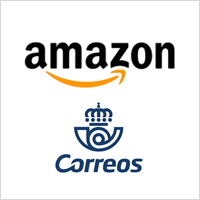 It is to be expected that the merger will bring a lot of changes not only in traditional eCommerce, but also in multichannel and omnichannel approach to the problem. Of course, everything will come at a significantly lower price than before. Once the Adobe features become available directly under the platform, it will reduce the need to spend long hours in developing and designing certain features. Decrease in working hours will directly reflect the total price of any eCommerce project and that is always beneficial for the customers. There is also a possibility that some of possible future moves will negatively impact the end customer. Moving towards the SaaS can cause maintenance and hosting to grow in price, and since at the moment clients can choose where to host their stores, it could bring some increased running expenses. Still, this segment is strictly dependant on the future decisions Adobe will make in regards of Magento, and it is not likely that they will come up with a business model that will drive customers away. It is more likely that they will come up with an option that will actually increase number of end users, and that they will become even more competitive than before. As for the quality of services provided to the end users, this merger will bring only good things on the table. They will be able to enter any sales channel as easily as possible, and with minimal investments. Developers and designers who are operating in the world of eCommerce will feel this change as well. At this moment, the market is rather chaotic, as there are web developers and web designers that are providing sub-par quality services. This is the consequence of the market being overcrowded with offers that come from the underdeveloped countries. A lot of contractors simply don’t have the expertise to carry out everything that is needed. On the other hand, the availability of the Magento Community Edition makes the platform available to anyone, anywhere. This further results in additional chaos. People who have no skills to work on it are often involved in development process and that is the main reason why there are so many bad experiences connected to the Magento projects. This also negatively impacts all the good web developers who have the expertise in doing things properly. Simply, the bad reputation is easily carried over. The only way so far was to get Magento certifications, but there are not that many certified agencies out there. 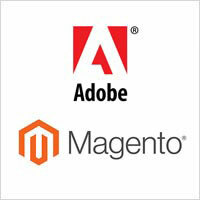 With the new acquisition of Magento by Adobe, things should get much better in this segment. The certification process will remain in place, but it is to be expected that the Adobe will make certain moves towards premium segment of the market and increase quality levels in this sphere. Of course, the very integration of Adobe features under Magento will also reduce the possibility of mistakes happening. In the end, this will impact web agencies to move towards Magento certification process. They will have no choice at all if they intend to build reputation, as this will now involve two major players on the market, and the trust will be able to achieve only going through the proper channels. The end result will be the increase in quality of the services, and filtering of the market. Web developers who decide not to follow this path will have problem addressing the customers, and will be forced to focus on other platforms, and that will increase the quality of Magento developers in any scenario. Also, the future of Magento Community will further dictate movements in this segment. It is possible that with the changes made there, Magento will not be the platform of choice for the low quality providers. There are also very positive effects on some of the developers as well. Those who have the reputation of being high quality service providers, and those who have gone through the Magento certification process will be more than happy with this acquisition. Their services will become more rounded with the future developments, and they will be able to compete harder, offering lower prices to smaller retailers, without sacrificing features that were so far available only at a rather hefty price. In this way, small and medium retailers will get a lot of benefits, and high quality web developers will get expanded chances to compete with the cheap ones. Overall, this will yet again increase the overall quality of services and of storefronts based on Magento. This was a rather expensive acquisition as Adobe had to pay $1.86 billion to acquire Magento. Still, it is still a lot cheaper than the Demandware acquisition by the Sales Force that happened in 2016. It means that the overall investment in this case was better. With the capabilities to compete strong in both B2B and B2C segments, Magento is just a perfect fit for Adobe. 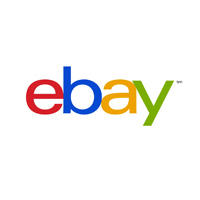 The investment will return rather quickly even without changing anything in the business model as a large number of big retailers depend on Magento 2 Enterprise which is rather expensive. With the possible movement towards the SaaS, or with a simple change of a business model, or pricing policies, Adobe will be able to get the full return on investment in a record time. It is more likely that they will be aiming to dominate the market with new features than that they will drastically change pricing, as the expansion will yield far more, and it will put them into a position to dictate terms on the entire market. Adobe has more than enough financial reserves to withstand the initial pressure, and all the technology Magento was missing to become a dominant force in the eCommerce realm. As we have said already in the intro, this is one of the moves that can literally change the entire market in ways that are simply impossible to fully predict. 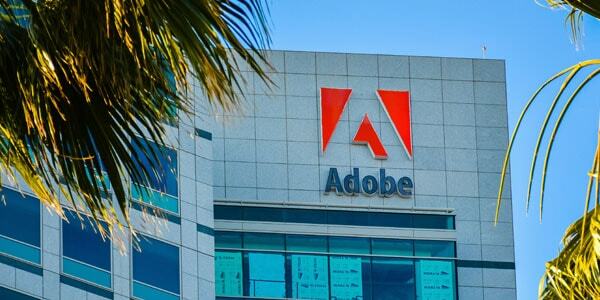 All will depend on the future directions where Adobe will push Magento. Still, no matter what they do and how they do it, by simply providing the features of both platforms under a single package will make all the difference there is to be made! The next few months will reveal the direction, and then all and everything is possible. 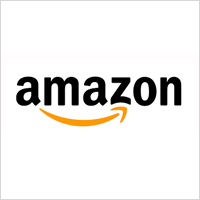 One thing is certain – interesting times in the eCommerce sphere are ahead of us!